Snow removal in New England is unfortunately something for which we all must be prepared. For over 50 years, Molloy Lawn and Landscape has been dealing with the harshest weather Mother Nature has to offer. Our commercial snow removal program takes away your property concerns by providing up to date snow & ice removal emails, a dedicated staff and eco-friendly products. Every storm is different, but rest assured Molloy is always one step ahead of the bad weather! 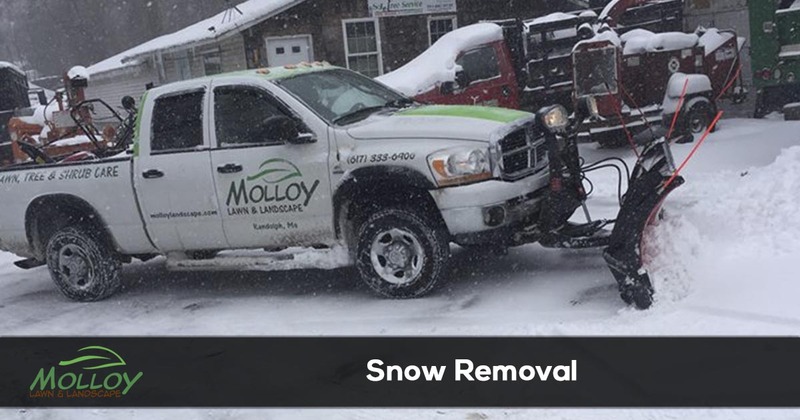 When you are in need of fast and affordable snow removal and deicing services you can count on the Molloy Landscape team. We make getting a quote and scheduling your service easy when you call 617-333-6900.